Enson Inoue, or “Yamato Damashii” as he is commonly known, is an American born jiu jitsu black belt under John Lewis, being the founder of the world famous Purebred Academy. A polarizing figure in both jiu jitsu and mixed martial arts (MMA), Enson was of great importance in the development of Brazilian jiu jitsu in Japan, having introduced the combat style to many important people including Yuki Nakai. In MMA Enson is regarded as both an “enfant terrible” and one of the most iconic fighters to have graced the sport, being the first and only Shooto heavyweight champion and Pride veteran, known for his “never say die” approach to the game. Although with some clouds in his past, Enson Inoue is also a charity fund raiser, having contributed greatly towards raising awareness to the 2011 Tohoku earthquake and tsunami victims, through his charity walks in Japan. Enson is also the brother of another important combat sports figure, Egan Inoue. Nickname: Yamato Damashii stands for Japanese Spirit in Japan, Yamato being the name for Japan during its the feudal era. The name is more commonly utilized to define the spirit of the samurai, also symbols of this particular time. 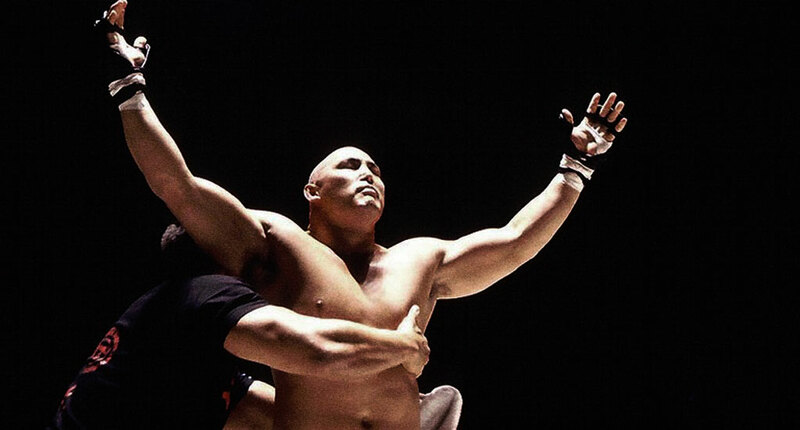 For Enson, the “Yamato Damashii” started after an interview given by Enson to a Japanese magazine, just before entering the octagon at UFC 13 against Royce Alger. Inoue’s words and performance touched the journalist, who described Enson as a personification of the samurai spirit (Yamato Damashii), thus starting a trend that led to the popular nickname. Enson Inoue was born on the 15th of April, 1967 in Honolulu, Hawaii (USA), being a first generation American from Japanese parents. Growing up in a tight Japanese community in Hawaii, it was only when Enson started attending classes at intermediate school, that he had real interaction with the original hawaiians and samoan residents, this new found relationship was less courteous than he would have hoped for. Being constantly bullied at school by the other kids, Enson was encouraged by his father to react to the bullies, by saying that he would beat him if Enson let himself be bullied, instilling in the young Inoue the fighting spirit he would be known for in his adult life. This bullying also led Enson to tae kwon do and hapkido where he began his martial arts career, changing to Gracie jiu jitsu, under Relson Gracie at the age of 21 (1988). As a teenager Enson played American football, basketball, baseball, volleyball, and ran track. It would be in racquetball that he and his brother Egan excelled. Egan went on to become the number 1 ranked racquetball player in the world, winning the “All-Japan” tournament and becoming well known in the world wide circuit. Though the Japanese league wanted Egan to play for them, he was at the time playing in the World Tour and did not have the time to commit to them, instead the promoters decided to sign Egan’s brother, Enson, who was ranked 28 in the world at the time. While in Japan, Enson Inoue started running Japan’s division of E-Force, Egans racquetball company. Enson also started his very own line of racquets called “Purebred”, a name honoring the quality of his products. During his stay in Japan Enson saw Rickson Gracie fight live for the first time, this sparked the interest in competing no holds barred. The desire to test himself in the ring grew with each day and Enson decided to ask for a chance to compete, sending several requests to many organizations such as Pancrase, UWF, RINGS, and Shootoo. Shooto was the only one that accepted to audition Inoue, allowing the Hawaiian to test himself against one of their professional athletes (Yuki Nakai), whom Enson had no trouble beating, using what he had learnt in jiu jitsu.The talent scouts were so impressed with Inoue’s performance that they decided to book him a fight in 3 months, starting the career of one of the most memorable fighters in the history of MMA. In the mean time, Enson’s brother Egan had also started his MMA career, while being very successful in jiu jitsu’s lower belt divisions where he earned the first World Championship gold medal for USA in the sport (1996). 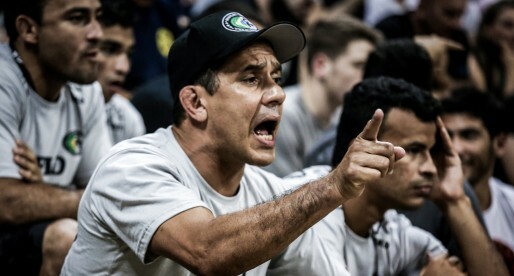 Although Egan was doing very well for his team, his instructor (Relson) did not like that he filmed a Rickson Gracie seminar without his consent, the argument between the pair got heated and the two parted ways in less than amicable terms. 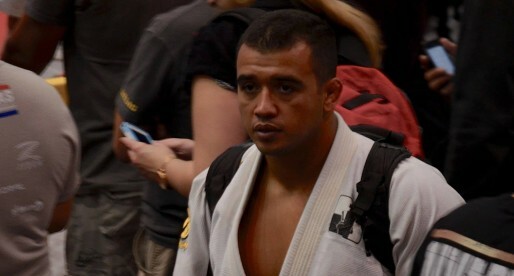 Enson, a purple belt at the time, was asked to decide between staying with the team or leaving with his brother so he decided to follow Egan’s lead, helping him establish Grappling Unlimited in Hawaii, a jiu jitsu and MMA academy. 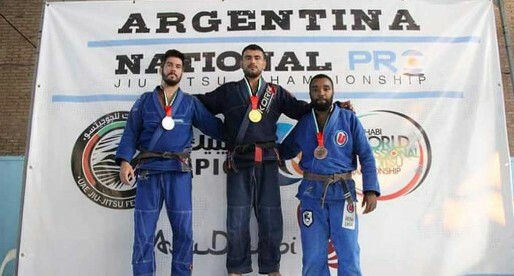 To progress in jiu jitsu, the brothers paired up with the Machado brothers (Rigan Machado awarded Egan his brown belt) and later John Lewis from Nova Uniao. It was around that same time as Grappling Unlimited was formed that the Shooto organization in Japan planned on selling one of their gyms, Enson saw a great opportunity to start his own academy and decided to buy the space. As Enson already had a racquet business in Japan (Purebred), he used that same company to buy the property, this turned out to be the beginning of the world famous “Purebred” gym franchise. Purebred grew quickly and became the favored training spot for many of Japan’s top Shooto fighters. One of those fighters was Yuki Nakai. In 1995 Yuki Nakai had a career ending fight against Gerard Gordeau at “Vale Tudo Japan”. Gordeau purposely eye gouged Nakai, leaving him blind from one eye. Though Nakai believed he would recover and fight again, the doctors thought otherwise and advised him to find a different sport to practice. It was through Enson’s advice and teachings that Nakai became interested in Brazilian jiu jitsu, staying with Inoue until he was a purple belt. Nakai would go on to become one of Japan’s most distinguished jiu jitsu practitioners. The Pan American Jiu Jitsu Championship of 1998 was hosted in Honolulu, Hawaii, having Inoue’s former coach, Relson Gracie as the organizer. According to some of the witnesses, Egan Inoue (who was competing at the tournament) was asked to change his gi before entering the mat as it wasn’t in accordance with the federation’s guidelines. This was taken as an insult by Egan who believed the reason for the request had more to do with the split from the organizer’s gym . He decided to go outside to get his spare gi, but upon his return was told he could not come in any longer. Under these circumstances the two brothers (Egan and Inoue) known for “enfant terrible” attitude decided to do their reputation justice, starting a famous brawl outside the venue. The fearless fighting style of Enson Inoue brought him the attention of the Yakuza families, Japan’s organized crime. When his brother in law, a highly ranked Japanese wrestler named Norifumi Yamamoto was banned from competing wrestling after he ran into some trouble with the Yakuza, Enson protected him and introduced Yamamoto to mixed martial arts, Norifumi would later become the iconic MMA figure, “Kid” Yamamoto. A hard man, no doubt, at one point the Yakuza asked Enson to open a Purebred gym in Tokyo, in return Inoue requested that they sponsor and care for two of his pro fighters, Kid Yamamoto and Ryan Bow. After some time, the Yakuza member in charge of his fighters started slacking with his duties and avoiding Inoue’s calls. This went on for weeks, a sign of disrespect that Enoue did not take lightly. At the Heroes 3 (2005) MMA event after party, Enson came across the man who had been avoiding him, Inoue took him to the venue’s parking lot where he severely beat the Yakuza member for 20 minutes, leaving him in a hospital. On September, 2013 Enson Inoue embarked on a charity walk of over 1,360 miles from Hokkaido to Kyushu, Japan. The walk served the purpose of to raising awareness for the plight of the victims of the 2011 Tohoku earthquake and tsunami. One of the missions was to do the walk with no money, living off the good will of the places he visited, part of the walk was supported by fellow jiu jitsu black belt Mike Fowler.